Qingdao, China, February 25, 2016 /ChinaNewswire.com/ - AccorHotels announces the opening of Grand Mercure Qingdao Nanshan Resort, an upscale hotel with 508 guest rooms and suites. This is the second property under the Grand Mercure brand to debut in Qingdao following the opening of Grand Mercure Qingdao Airport, and the 14th hotel to join the brand’s network in Greater China. 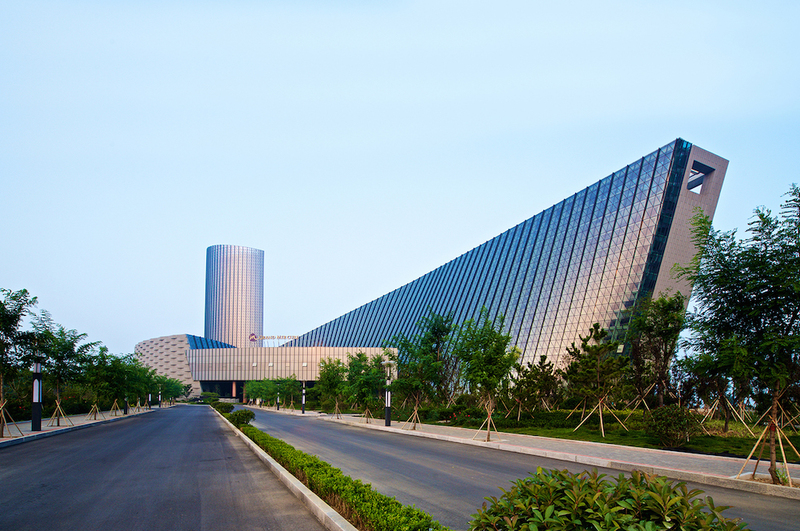 Located adjacent to Qingdao International Exhibition Centre, the largest exhibition and convention venue in Shandong province with the central business district and Qingdao Liuting International Airport just a short drive away. Grand Mercure Qingdao Nanshan Resort features 508 contemporary guest rooms and suites, with modern facilities, including a minibar, complimentary Wi-Fi connection and a flat screen TV. The hotel also offers a range of dining options with two restaurants and a bar. Savour the extensive range of local and international cuisines served at Sunshine Global Western Restaurant, or relish authentic Chinese cuisine and fresh seafood served at Linhai Xuan. The Lobby Bar is the perfect place to escape from the hustle and bustle of the city for an evening drink or simply relax and unwind with a cigar and a glass of wine at the Cigar Bar while enjoying the evening sunset at Aoshan Bay. Whether it is weddings, corporate events, gala dinners or meetings, the hotel has eight function rooms, two board rooms and two pillar-less Grand Ballrooms that can cater for up to 1,000 guests. Gym enthusiasts can enjoy a work out at the resort’s fully-equipped gym studio or take a dip at the pool and sauna. The resort’s private stunning beach is located within walking distance, where guests can enjoy relaxing walks and breathtaking scenery. Room rate at Grand Mercure Qingdao Nanshan Resort starts from CNY498*. For reservations, please email [email protected] or for more information visit www.accorhotels.com / grandmercure.com. Hong Kong, February 24, 2016 /ChinaNewswire.com/ - MGF Asia, the world’s premium mobile games event, is returning to Hong Kong on April 12th-13th at the 5* Mira Hotel. 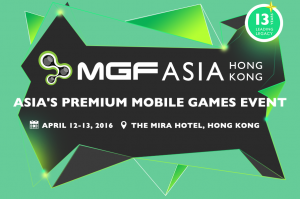 MGF is the most senior event in mobile games, with 55% of 450+ attendees at MGF Asia 2015 Founder or C-level. Industry heavyweights from across Asia and the world will gather at this illustrious 5* venue to discuss, do business, and shape the future of the global mobile games industry. There will also be cutting edge disruptive tech displays throughout the the expo hall, with the likes of Aldebaran Robotics, CCP Games, and Blippar demonstrating the latest in robots, VR, and AR products. About Osney Media: OsneyMedia’s purpose is to inspire and enrich the lives of senior business executives in the mobile gaming industry through live conferences and strategic think tanks, producing cutting-edge content delivered by world-leading speakers in highly engaging formats. 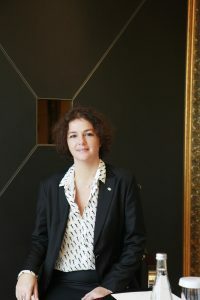 Shanghai, China, February 1, 2016 /ChinaNewswire.com/ - AccorHotels (CAC 40 – AC.FR) and Huazhu Hotels Group (also known as China Lodging Group – Nasdaq: HTHT) are pleased to have sealed their extensive, long-term alliance, initially announced to the market on 14th December 2014. Under the arrangement, AccorHotels takes a 10.8% stake in Huazhu and a seat at the Chinese group’s board of directors. Huazhu will take a non-controlling stake of 29.3% and two board seats in AccorHotels’ Luxury and Upscale operating platform for Greater China. AccorHotels is a Group united by a shared passion for hospitality and driven by a shared promise to make everyone Feel Welcome. Over 180,000 women and men in nearly 3,800 AccorHotels properties look after thousands of guests every day in 92 countries. -almost half a century of commitment to corporate citizenship and solidarity with the PLANET 21 program. Accor SA shares are listed on the Euronext Paris stock exchange (ISIN code: FR0000120404) and traded in the USA on the OTC market (Code: ACRFY). About HUAZHU Hotels Group Ltd.
HUAZHU Hotels Group Ltd. (NASDAQ:HTHT) is a leading and fast-growing multi-brand hotel group in China with more than 2,700 hotels across over 350 cities. Founded in 2005, HUAZHU has been ranked as the 12th largest hotel group globally in 2014 and listed in the Top 100 Most Valuable Chinese Brands in 2015. HUAZHU Rewards loyalty program allows frequent guests to earn points and enjoy special benefits and privileges and has attracted nearly 50 million individual members. 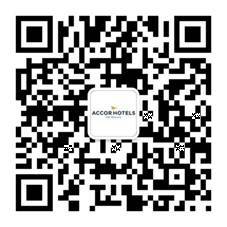 Aiming to become one of the world’s leading hotel operator, HUAZHU has formed an extensive and long-term alliance with Accor since 2014, offering the customers of both loyalty programs (together over 75 million members) the opportunity to access a network of more than 6,000 hotels globally, covering the full spectrum of the market from Upscale (Grand Mercure, Joya, Manxin) to Midscale (Novotel, Mercure, Ji, Starway) and Economy (ibis, ibis Styles, HanTing, Elan, Hi). With joint efforts of over 50,000 employees, HUAZHU commits itself to provide both business and leisure travelers with impressive and cost-effective travel experiences. In 2014, the group launched a ground-breaking brand, namely, H World, to build an alliance of 10 thousands hotels, billion level membership system, and even a comprehensive travel ecosystem in the coming future.